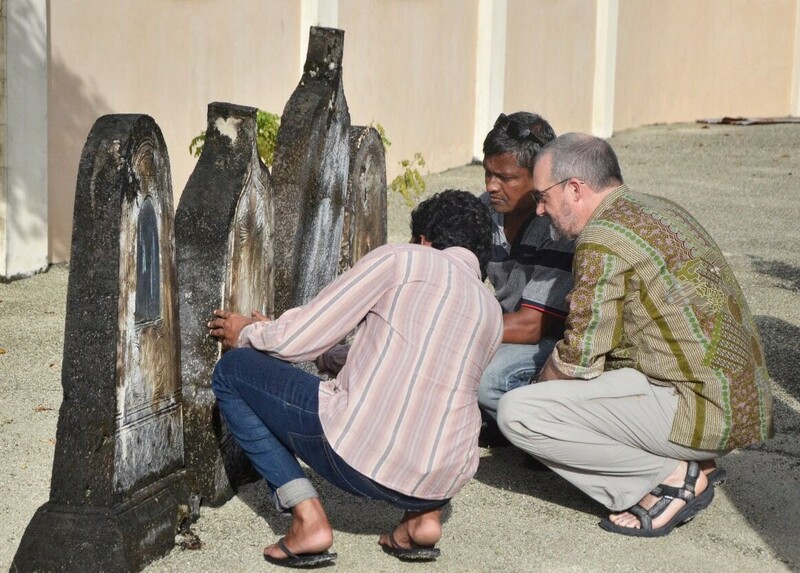 The MHS Field Team has completed its initial survey of Isdhoo-Kalaidhoo island in Laamu Atoll (Hahdhunmathee), where we have documented the Isdhoo Aasaaree Miskiiy mosque and cemetery site. A large Buddhist ritual complex comprising of the ruins of 50 structures and surrounding walls in the vicinity of two large mounds, and a number of other smaller sites including a (now submerged) bathing tank and the ruins of a deserted mosque site and cemetery have also been recorded. Previous Previous post: Fieldwork Begins!